Tomorrow is Mother’s Day, but in the calendar of the Church it’s the sixth Sunday of Easter. 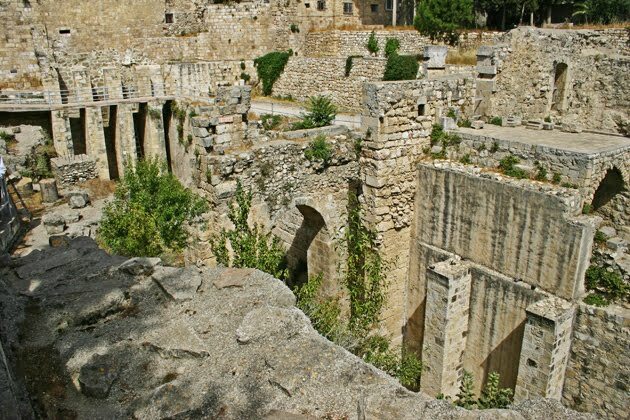 One of the scriptures for this Sunday (there are usually four choices each week) is the story of the healing of the lame man at the Pool of Bethesda in John 5:1-9. The story is intriguing in many ways, but it also provides a rather dramatic example of the value of biblical archaeology in recovering the history of the Intertestamental Period and in vindicating the historical reliability of the New Testament. In the 1960's archaeological excavations done by the Roman Catholic White Fathers actually discovered on the northeast corner of the ancient Temple Mount the pool of which John speaks. That discovery proved that there was indeed an historical tradition underlying the Fourth Gospel which is independent of the Synoptics but no less credible. John's description of the Pool of Bethzatha in John 5 is quite specific, and for years skeptical scholars scoffed at his claim that such a pool ever existed. Intriguingly, John says: “Now there is in Jerusalem by the Sheep Gate a pool called in Hebrew ‘Bethzatha,’ having five porches (stoa in Greek) at which a multitude of the sick, blind, lame and paralyzed lay.” Now that’s pretty precise information! It’s a little like saying: “on the corner, next to the Post Office, there’s a MacDonald’s.” Presumably, anyone living in Jerusalem at the time would have known immediately the place of which John was speaking. The problem is that no other ancient writer ever mentions such a pool, and no such pentagonal-shaped, five-sided structure, which would seem to be demanded by John’s description, is referenced in any writing from antiquity. John’s credibility was suspect. And yet, his description is so specific that he seems to assume that everyone reading his gospel would know exactly the pool to which he was referring. Now, we know they would. John’s mention of the “sheep gate” is precise. Actually, the Greek says, “Now there is in Jerusalem, at the sheep______ a pool.” The word John used was probatike (dative for the word “sheep”), and is here used as a substantival adjective, literally, “at the sheep (place).” Presumably, anyone from Jerusalem would have known what “at the sheep (place)” meant. A reasonable hypothesis was that the reference was either to a sheep gate (so RSV), or to a sheep market (so KJV). More likely, however, is that both were intended in that a gate leading outside the city, just beyond which lay a sheep market, would have come to be known as the “sheep gate.” Locals tell me that up until recently (within the last fifty or so years) there has been a sheep market in the area. Indeed, a sheep gate was mentioned by Nehemiah (3:1; 12:39), which, from the descriptions given in the passages, seemed to have been situated on the north city wall just outside the temple area, the very location John described. In their excavations in the 1960’s, twin pools surrounded by covered porches (stoa) is precisely what the White Fathers found. Two pools rectangular in shape, a larger pool to the south and a smaller to the north, separated by a dike of stone nearly twenty feet in width, were discovered. The pools were situated in a small valley, now filled in, which ran diagonally to the Kidron Valley. No doubt, the pools were thus placed so as to act as reservoirs, just as the Copper Scroll described, to collect runoff rainwater on its way to the Kidron. The pools may have also been supplied by a spring which intermittently bubbled up to the surface, thus accounting for the legend of the angel who “troubled the waters” to which some manuscripts of the Gospel of John refer (see John 5:4). Excavations have revealed numerous columns, capitals, and bases indicating that the pools were surrounded by five colonnaded porticoes or porches (one each around the perimeter of the pools and one on the dike through the middle), just as John described. The pool did indeed have “five porches;” it just wasn't pentagonal in shape as scholars had assumed. 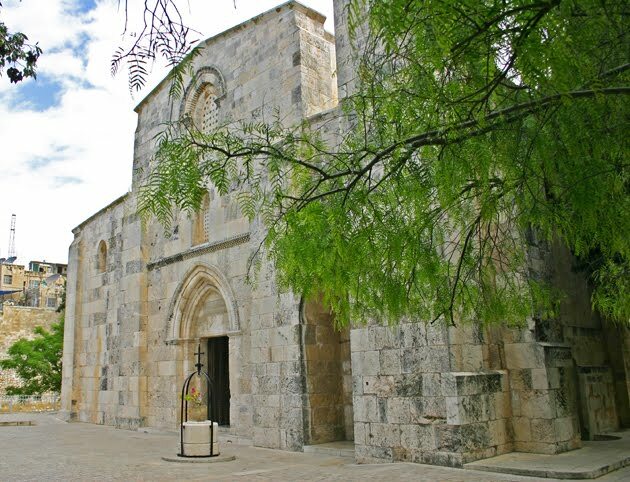 For the full story, see my book, Where Jesus Walked (pp. 150-165). Finally this. Next door to the archaeological excavations of the pool is a small chapel with a long history of its own. Built by Roman Christians in the Byzantine period, it was destroyed and rebuilt several times finally taking the form in which it appears today. 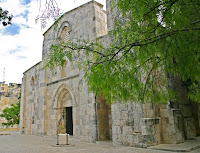 The chapel has been known historically as the “Church of St. Anne” because tradition holds that the site was the birthplace of Mary, Jesus’ mother, Anna and Joachim being Mary’s parents, Jesus’ grandparents. According to tradition, Joachim, Mary’s father, was a shepherd, and so their association with the sheep market in the area was a natural one. Right next door to the chapel is the Pool of Bethesda. And while it’s just tradition, I can imagine Jesus on more than one occasion visiting his grandparents in Jerusalem and watching the pathetic picture of a pool that promised, but could not deliver, healing for a man who had lain there crippled for thirty-eight years. Intriguingly, John rather casually remarks, “Jesus knew that he had been lying there for a long time” (John 5:6). Now, how could Jesus have known that? Perhaps, just perhaps, because when he visited his grandparents, who lived right next door to the pool, he’d seen that pathetic old figure lying there year after year, hoping against hope that he would be healed. And I can just imagine that the young Jesus, taking note of that man (remember, the Gospels say that not even a falling sparrow escaped his attention! ), said to himself: “You know, one day I’m gonna do something about that.” And one day, John says, he did. I remember when you preached about the five porches. That was one of my favorite "archeaological diversions" in your sermons. Your stories are always so full of history and detail. Got a love it! !